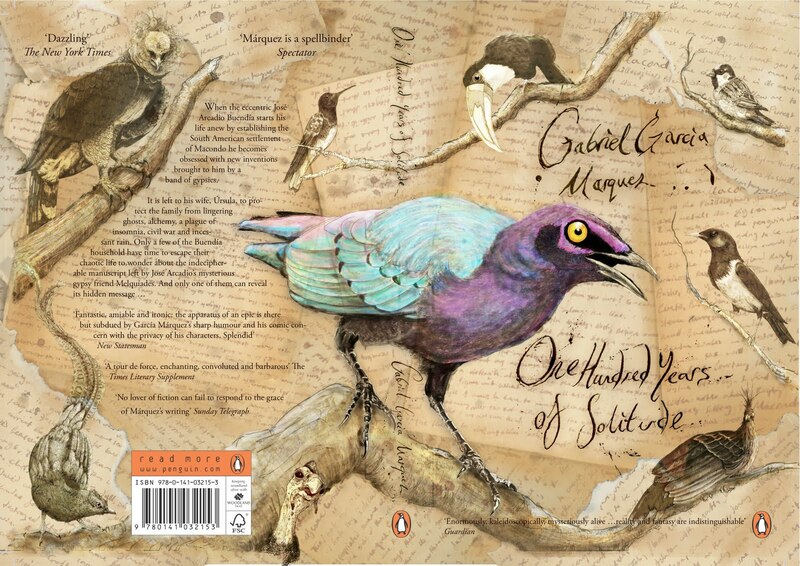 This masterpiece of postmodern fiction brought that extraordinary contemporary writing of Gabriel García Márquez, a Colombian Nobel laureate in literature, to the wider world. It is an intensely personal work, drawing upon the politics, history, culture, myth, magic and ghosts that form the back ground and Marquez's life growing up in Colombia. One Hundred Years of Solitude is history of Macondo, a fictional small town in none unspecified area of South America, from its beginnings, to its ultimate obliteration, when the last member of the seventh generation of the founding Buendía family finally translates the parchment that predicted the towns circular history. One of the features of the narrative is the way time changes, speeding up and slowing down, and moving in circles. The names of the protagonists are also repeated in each generation in variations of those of the founders. JoséArcadio Buendía , strong men with a passion of science (fired by Melquíades, the leader of a gypsy band, who recurs throughout) eventually goes mad and must be tied to a tree, while his wife Ursula Iguaran lives to be over 130, having slowly shrunk to the size of the fetus. Their distinct physical and intellectual characteristics are also varied and repeated in each generation. One Hundred Years of Solitude is known for its use of magical realism as well as the immense power, humour and beauty of its writing. "Many years later, as he faced the firing squad, Colonel Aureliano Buendía was to remember that distant afternoon when his father took him to discover ice. At that time Macondo was a village of twenty adobe houses, built on the bank of a river of clear water that ran along a bed of polished stones, which were white and enormous, like prehistoric eggs. The world was so recent that many things lacked names, and in order to indicate them it was necessary to point. Every year during the month of March a family of ragged gypsies would set up their tents near the village, and with a great uproar of pipes and kettledrums they would display new inventions. First they brought the magnet. A heavy gypsy with an untamed beard and sparrow hands, who introduced himself as Melquíades, put on a bold public demonstration of what he himself called the eighth wonder of the learned alchemists of Macedonia. He went from house to house dragging two metal ingots and everybody was amazed to see pots, pans, tongs, and braziers tumble down from their places and beams creak from the desperation of nails and screws trying to emerge, and even objects that had been lost for a long time appeared from where they had been searched for most and went dragging along in turbulent confusion behind Melquíades' magical irons. "Things have a life of their own," the gypsy proclaimed with a harsh accent. "It's simply a matter of waking up their souls." José Arcadio Buendía, whose unbridled imagination always went beyond the genius of nature and even beyond miracles and magic, thought that it would be possible to make use of that useless invention to extract gold from the bowels of the earth. Melquíades, who was an honest man, warned him: "It won't work for that." But José Arcadio Buendía at that time did not believe in the honesty of gypsies, so he traded his mule and a pair of goats for the two magnetized ingots. Úrsula Iguarán, his wife, who relied on those animals to increase their poor domestic holdings, was unable to dissuade him. "Very soon we'll have gold enough and more to pave the floors of the house," her husband replied. For several months he worked hard to demonstrate the truth of his idea. He explored every inch of the region, even the riverbed, dragging the two iron ingots along and reciting Melquíades' incantation aloud. The only thing he succeeded in doing was to unearth a suit of fifteenth-century armor which had all of its pieces soldered together with rust and inside of which there was the hollow resonance of an enormous stone-filled gourd. When José Arcadio Buendía and the four men of his expedition managed to take the armor apart, they found inside a calcified skeleton with a copper locket containing a woman's hair around its neck." 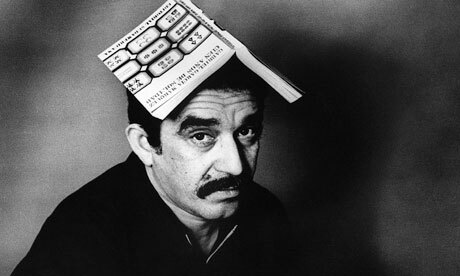 Gabriel García Márquez was born in 1928 in the small town of Aracataca, situated in a tropical region of northern Colombia, between the mountains and the Caribbean Sea. He grew up with his maternal grandparent - his grandfather was a pensioned colonel from the civil war at the beginning of the century. He went to a Jesuit college and began to read law, but his studies were soon broken off for his work as a journalist. In 1954 he was sent to Rome* on an assignment for his newspaper, and since then he has mostly lived abroad - in Paris, New York, Barcelona and Mexico - in a more or less compulsory exile. Besides his large output of fiction he has written screenplays and has continued to work as a journalist. Hi! I am curious if you have a lot of visitors of your journal?